This is a very convincing, solid publication in a good and handy format. It is meant as a reference rather than just another ‘how to’ book and expects the informed gardeners to do their specific research themselves as to whether and how to deal with the mentioned plants in practice. 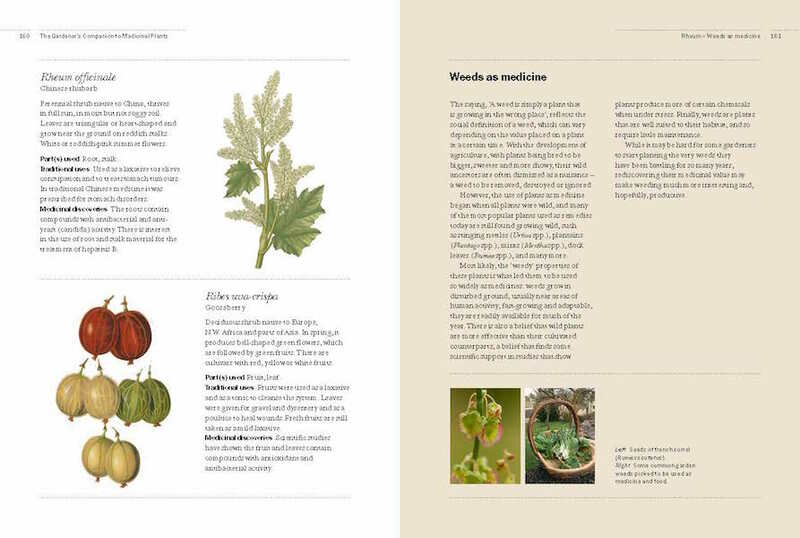 Principally, this book is not only for gardeners but for foragers, walkers or actually any-one who is interested in natural alternatives to conventional prescription medicines. 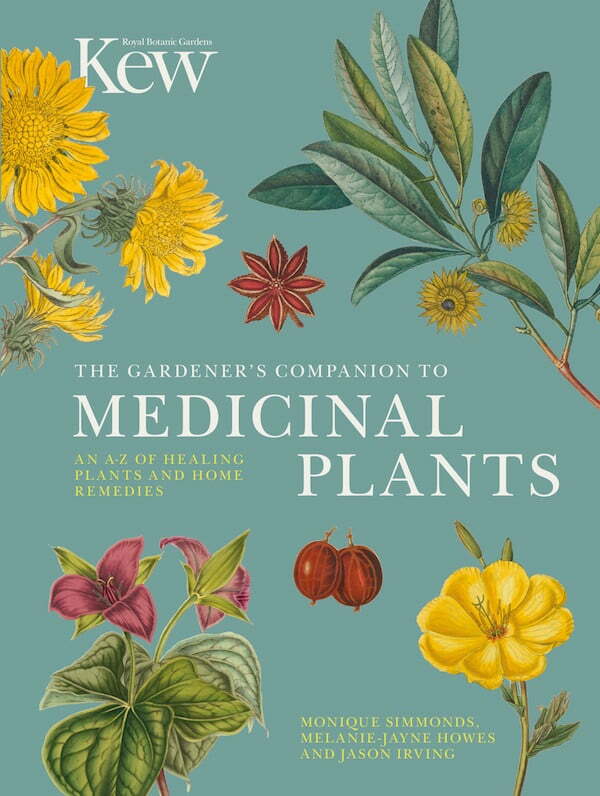 The authors, all of them employed at the Royal Botanic Gardens at Kew, concentrate on the medicinal qualities of the included plants and discuss their traditional use together with current discoveries. This saves a lot of space, but I still think one of the most difficult questions must have been to decide which plants to include and, perhaps more difficult, which to omit. Within the A-Z section of 220 plants the reader finds 25 easy to follow recipes for home remedies. Here, the plants are described in more detail. They are easily obtainable and from the temperate (European) climate whereas the general A-Z section takes a global view. As is good practice, the plants are in alphabetical order of their Latin name but through the index the reader will find them by their common name, too. A short glossary also explains scientific terms. The examples are beautifully illustrated. In reference books, I find this method so much better than photographs because it is easier to point to significant features which also occur at different times of a plant’s life. People who gather wild mushrooms or need to identify old apple varieties might agree. The recipe suggestions are supported by photographs, though, and this makes sense, too. 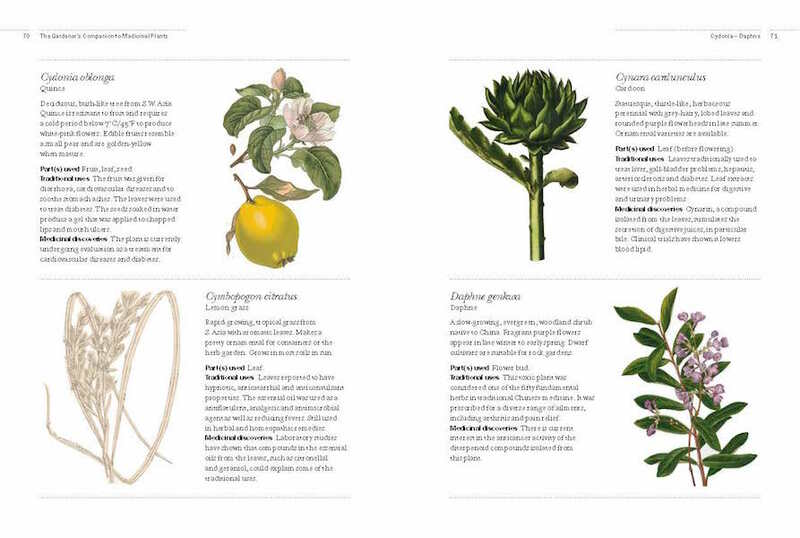 Within the A-Z plant section there are eight one-page chapters that deal with several aspects of medicinal plants from a history of herbals, plant compounds to conservation and trade. All of them are short and concise. Although the chapter on conservation and trade mentions problems of sustainability in general terms, I would have loved a sentence or two about protected plants and our own responsibility. This sounds politically over-correct but there are experiences that access to some woods near a certain European capital had to be restricted after a TV program dealt, for instance, with edible mushrooms. And herbs or alternative food are extremely fashionable in Western society, which has its common drawbacks. On the other hand, the book describes itself as gardener’s companion, and we all know that gardeners are a most sympathetic and responsible species. 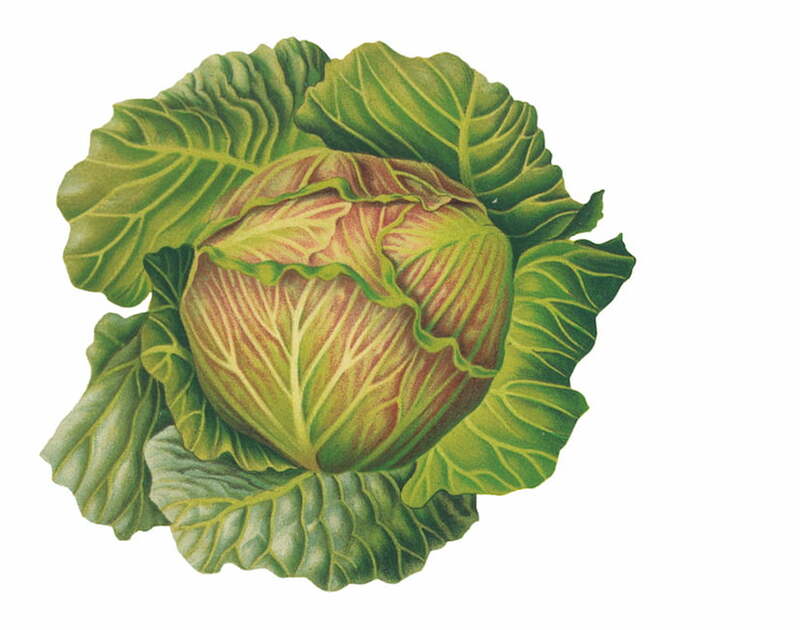 When readers find cabbage, carrots, beans, raspberries, grapes and strawberries included, they will realise that healthy food has many sides and perhaps hitherto unknown possibilities. I would imagine that the recipes invite to experiment further: the nettle soup can be followed up by nettle beer or nettle pesto. Accordingly, the authors mention that the method to produce St John’s wort oil can be used for many other plants, too. The same goes for drying leaves for tea. For me, the cited example of lemon balm has not really worked yet. The aroma dissipated far too soon, so I rather use lemon balm’s leaves fresh but dry peppermint or thyme or lemon verbena instead. 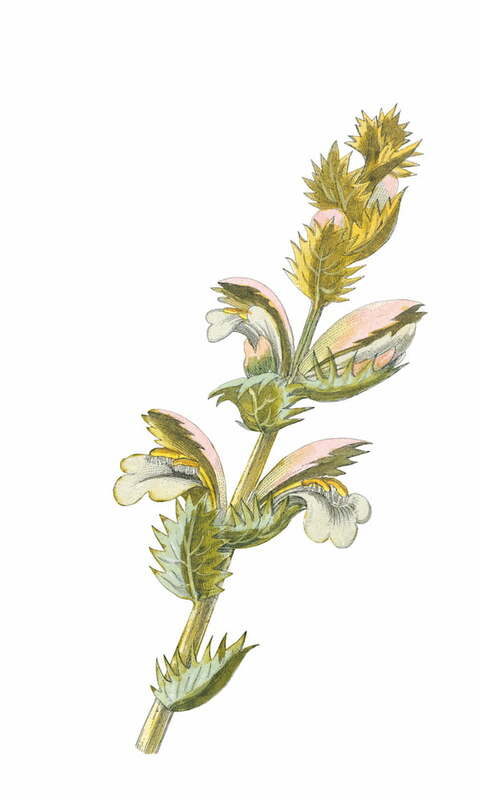 It was a pleasure for me that the medicinal qualities of the very first example, Acanthus mollis, were quite unknown to me; an ideal incentive to dive into a new book. Although this majestic plant starts to get a little invasive in our garden, I won’t transfer newcomers to the compost heap now, as planned, but will look for an additional space and experiment with them later. 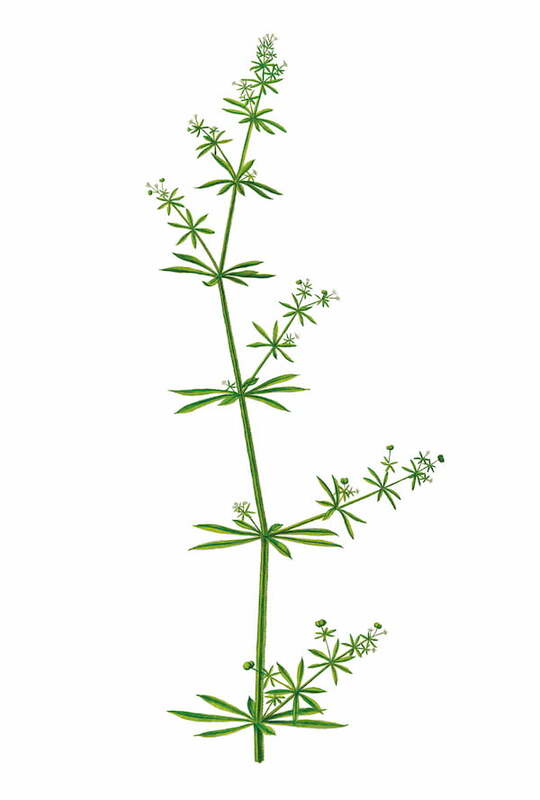 Some pages on, it put a smile on my face when I found my pet-hate-weed Galium aparine (cleavers) where I’d have preferred their much more pleasant cousins sweet woodruff or lady’s bedstraw. Indeed, the selection of the plants must have been difficult whilst there is another short chapter on page 161 dealing with how to appreciate our ‘weeds as medicine’, or food, as I would like to add. Think ground elder. As a revenge (to cleavers) I have planned to produce the recommended poultice and extract from it at last. Its medicinal qualities have been known to me but I used to forget them in my yearly struggles against this beast. Hence this book was a timely reminder to keep calm. Some readers might start to do wonderful things with the included couch grass, too, or find weeding in general more rewarding in the future. Or refrain from it! Or think twice to include just another fashionable plant in their garden scheme since they haven’t thought about its invasiveness. This companion warns occasionally. In general, I have made a lot of notes whilst consulting this book and hope I will find some time this season to follow at least some of them up. Certainly coffee from chicory or dandelion roots. This is a book one will naturally return to quite often. I am particularly grateful for the recipe to produce plantain balm. I have known that the plant has a reputation for treating blisters on your feet while walking but you don’t always find this herb after a long day’s walk. So I can take precautions now. Similarly, after I have read that the herb sweet gale alias Myrica gale (hitherto unknown to me) might be able to repel the highland midge, I can start dreaming to walk in Scotland again. 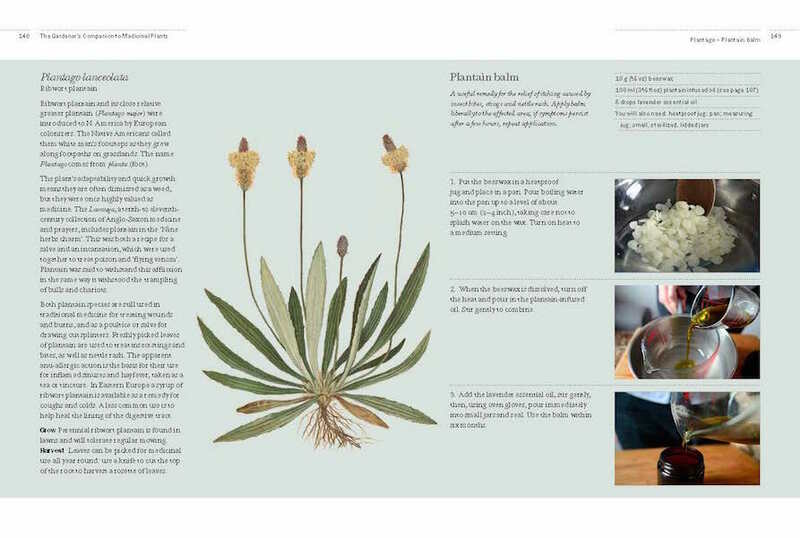 Accordingly, I am sure any reader will find a new herb or recipe in this book or, equally important, a new astonishing quality in a plant they thought they have known inside out. And be it a tasty herbal tea from strawberry leaves. I strongly recommend this book for beginners and experts alike.